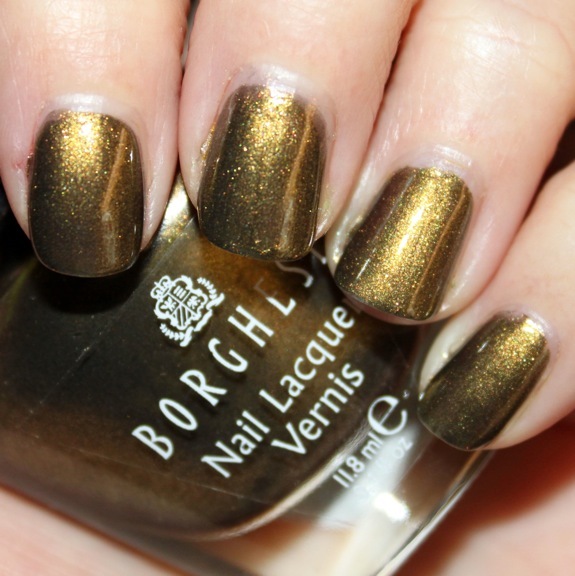 I recently had my eye on Butter London's Wallis but didn't want to splurge and spend additional money on shipping. At the drug store, Euro Green by Borghese stood out to me because it looked so similar. It's not an exact dupe but it's close. Euro Green appears more on the gold side. 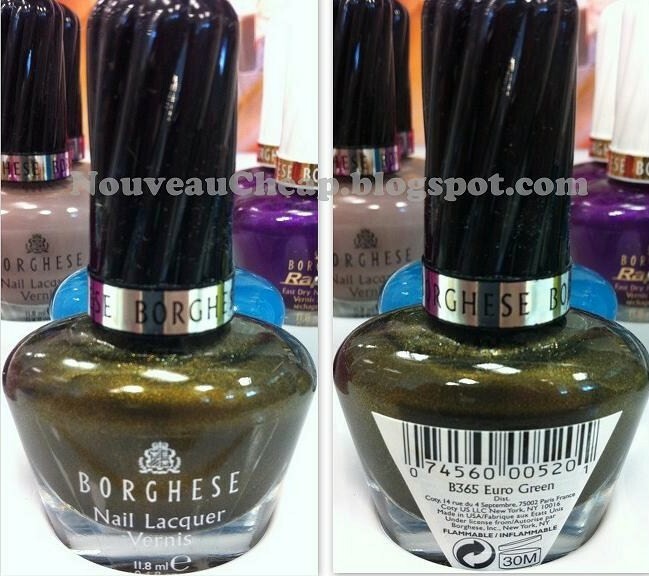 Borghese is relatively expensive for a drug store brand (~$8 for .4 fl oz) but it beats the alternative. I snatched it up and couldn't wait to try it out. The bottle is ugly. Let's just get that out there. It looks like it came out of the vanity of a suburban housewife in the late 70s. The application was also tricky. The brush wasn't amazing as it took 3-4 coats and forever to dry. I'm not sure if my top coat (Sally Hansen Complete Salon Manicure in Clear'd for Takeoff) didn't agree with the Borghese formula but it dried to a semi dull finish. Maybe that's the way it's supposed to look? It's still a beautiful deep green color with gold reflects/undertones (reminds me of the dress I wore to my junior homecoming dance in high school) but it makes you work for it. It's probably not the best polish for someone with little patience but it's good enough for me. I think it's nice for the holiday season.